For the past year or so since the Over-the-Counter Hearing Aid Act of 2017 was passed, I and other hearing-loss advocates have patiently explained time and again that right now there are no OTC hearing aids. That’s because the FDA approval process includes a three-year comment period before it publishes its final regulations. And until that time, only hearing “devices” can be sold over the counter. Or at least that was what we thought. Last Friday (October 5), the FDA took almost everyone by surprise when it announced that it had approved a Bose hearing aid that consumers will fit and program themselves. The Bose Hearing Aid, the FDA announcement said, is intended for adults over 18 with perceived mild to moderate hearing loss. “This is the first hearing aid authorized for marketing by the FDA that enables users to fit, program and control the hearing aid on their own, without assistance from a health care provider,” the announcement said. The wireless device processes sound through an earphone in the ear canal, and the user programs the aid on a smart phone. The FDA does require compliance with sales regulations, “including state laws that might require hearing aids to be purchased from or dispensed by a licensed hearing aid dispenser.” I’m not sure how many states have that regulation. Would welcome enlightenment. So what made the FDA decide to approve this particular hearing aid? After reviewing data from clinical studies of 125 patients the FDA found the results persuasive enough that it approved the Bose Hearing Aid under its De Novo premarket review pathway. The De Novo pathway allows expedited approval of “low- to moderate-risk devices that are novel and for which there is no prior legally marketed device”. (Click here to see a list of other devices approved under the De Novo pathway so far in 2018.) Not only were the results of self-fitting comparable with those of a hearing professional, the FDA noted, but participants in the trial generally preferred their own settings over those selected by a hearing aid professional. The announcement was made after the close of the European stock markets on Friday but by 10 AM Eastern time on Monday, the shares of the Danish companies GN Store Nord and William Demant Holding had each fallen by 13 percent, with Switzerland’s Sonova dropping 10 percent The American markets saw a similar drop. Obviously Bose, a privately held company, is seen as a threat to conventional hearing aid sales. Thanks to Gael Hannan for inviting me to write about Over the Counter hearing aids for her column this week, on Hearing Health and Technology Matters. This puts together much of what I have written previously on the subject, in one tidy package. A new study published in the prestigious medical journal The Lancet offers an unblinking look at the tremendous burden of hearing loss worldwide. “Global hearing health care: new findings and perspectives” was published on July 10th. The authors are Blake S. Wilson, Debara L. Tucci, Michael H. Merson and Gerard M. O’Donoghue. The first and fourth authors organized a three-day discussion at Duke University on the subject, which was followed by a massive review of the existing literature. Half a billion people have disabling hearing loss, a number that is far higher than earlier estimates. This is not just a little trouble hearing the TV, your wife mumbles, this restaurant is too noisy hearing loss. This is disabling hearing loss. The answer, the authors say, is twofold: prevention and treatment. Prevention and treatment of childhood hearing loss would be most effective in poorer countries. Special attention to adults would be more effective in wealthier areas. Prevention could reduce prevalence by 50 percent or more in some regions of the world, according to the World Health Organization. These preventive efforts include vaccinations against rubella, measles and mumps; education and treatment of HIV, syphilis, hypertension and other conditions. It also includes maternal nutrition and neonatal care, attention to ototoxic drugs, and and universal hearing screening of infants. Chronic or acute otitis media should be treated promptly with antibiotics. Treatment costs could be reduced by strategies like more competition and lower prices for hearing devices, a change in service provision – and “with disruptive and parsimonious designs” of hearing aids and cochlear implants. Sound familiar? That’s because these are the very same recommendations made by the National Academies of Sciences, Engineering, and Medicine in June 2016, and the earlier PCAST report to the President. The report calls for a global initiative to reduce “the currently unbridled burden of hearing loss.” It cites the interagency partnership VISION 2020, which began in 1999 with a goal of reducing avoidable vision loss by 2019. Indeed, as the study points out, disabling hearing loss is almost twice as common as disabling vision loss. In the category of mild to complete loss, hearing loss outnumbers vision loss by 46.2 v. 24.5 million in years lived with disability. Hearing loss is the fourth leading cause of disability worldwide. The report is complex and fascinating and if you are interested in reading the full report please contact me via the comments section on this blog. And if you suspect you have hearing loss, be grateful that you live in a country where you may be able to find treatment at a reasonable cost. Over the counter hearing aids will not become a reality for several years, but in the meantime get a hearing aid if you can afford it, try Costco or good online retailers for lower prices, get a PSAP if you can’t afford a hearing aid, try out some smart phone apps. But don’t ignore it. For more information about living with hearing loss, read my book “Shouting Won’t Help: Why I and 50 Million Other Americans Can’t Hear You. 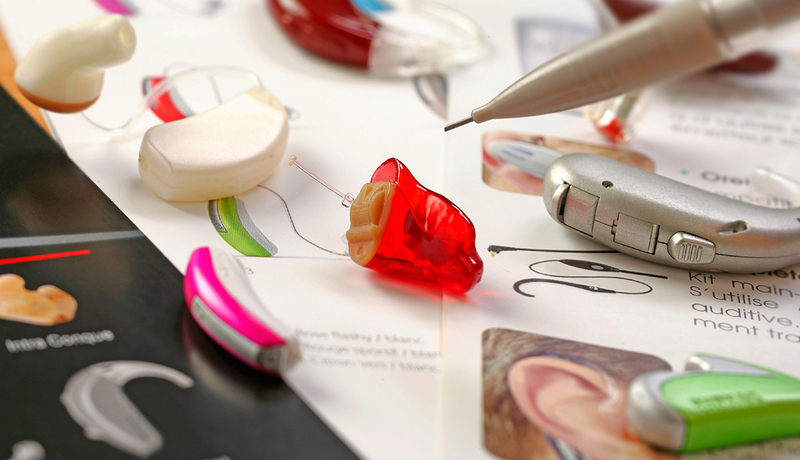 A new study definitively found that hearing aids can help older adults with hearing loss. We’ve known this intuitively, of course, but this well-designed study provided the kind of proof that has not existed before. The study also found that an over-the-counter model of hearing aid (OTC hearing aids are not yet available) performed almost as well as an expensive hearing aid. Those fitted with the real hearing aid, as well as a placebo group, also received professional help with fit and instruction. The presence of best-practice audiology services greatly influenced the outcome, even in those receiving the placebo. The six-week Indiana University study, published in the March issue of American Journal of Audiology, compared outcomes among three groups of patients: One that got a hearing aid that included the services of an audiologist. One that followed an over-the-counter process, with the consumer choosing from among three pre-programmed devices — in actuality, the same high-end digital pair as the first group — but without a fitting. And a control group that got a professional fitting for a placebo hearing aid that had no amplification. The subjects were 154 adults, ages 55 to 79, with mild to moderate hearing loss. The researchers compared benefits, including user satisfaction and usage of hearing aids after six weeks. The researchers found that hearing devices helped both the audiologist group and the OTC group., although the OTC group was less satisfied with the hearing aids and less likely to purchase them after the trial. About 55 percent of the OTC participants said they were likely to purchase their hearing aids after the trial vs. 81 percent for the audiologist group. Satisfaction significantly increased for patients in the OTC group who opted after the formal trial period to continue with an audiologist for a four-week follow-up. More of them also opted to purchase their hearing aids after receiving these audiology services. The Hearing Loss Association of America (HLAA) also supports the Warren-Grassley bill and issued a call to action to its members to support it. Many members of HLAA have severe to profound hearing loss and would not be candidates for an OTC aid, but as the HLAA statement put it, improving service at the basic end encourages innovative technologies for all types of hearing loss. In addition, the introduction of lower-cost hearing aids and competitive pricing may help bring the cost of all hearing aids down. Audiologists who are concerned that OTC hearing aids will put them out of business should take comfort in the study’s findings about the benefits of best practices in audiology. If audiologists get behind OTC hearing aids, it could mean hundreds of thousands more patients needing their services. This would be good for people with hearing loss, and good for audiologists. And if hearing-aid manufactures get into the low-cost hearing business, it will be good for them as well. The study by Humes and colleagues shows that nobody really has anything to lose by encouraging innovation and competition in hearing aids. For those who would like to read the study, here’s a link to the open-access publication: http://aja.pubs.asha.org/article.aspx?articleid=2608398. For more information about living with hearing loss, my books “Shouting Won’t Help: Why I — and 50 Million Other Americans — Can’t Hear You” and “Living Better With Hearing Loss” are available at Amazon.com. This post was first published in a slightly different form on AARP Health on April 7, 2017.